Need to find car finance NZ can trust? Has your car finally run its course? Maybe you need to upgrade to accommodate for your family? Read on to find out more about what the team at Max Loans can offer. It’s easy. When you’re looking to buy a car, you’ll have much more bargaining power over car dealers when you already have the money you need pre-approved. On top of that, knowing your maximum limit aids the budgeting process immensely. When you know exactly how much you are able to spend on a new car, you are able to avoid the disappointment of realising you have been pursuing a vehicle you can’t really afford. Some dealerships have very strict lending criteria – which is why it’s so helpful to be pre-approved with a finance company such as Max Loans. We know exactly who to talk to about finding you the right loan – and the lowest interest rates – so we can find you the car loan that suits your target figure and financial position. What can I use car finance for? You aren’t limited to only spending your car finance on vehicle purchases. If you need to take out a car loan and decide to use some for surprise medical bills, a wedding, or even a holiday – it’s completely fine to use a loan for more than one purpose. Don’t forget that you can borrow more by making a secured personal loan, and pledging an asset such as your home, or the home of someone you know, who is willing to act as your guarantor. Why get a car loan through Max Loans? When you’re pre-approved you are able to act like a cash buyer, whether it’s through a dealer or via a private sale. 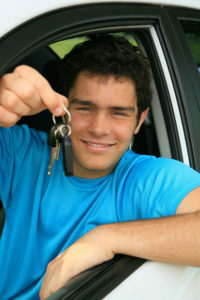 The interest rates Max Loans offer for car finance are competitive, and fixed. You can extend car loan terms to up to five years, bringing your repayment amounts down. Repayments can be matched to when you get paid, eliminating the need to budget ahead. We will consider you for a loan no matter what level of driver license you currently hold, as long as you do currently hold one. We have excellent insurance options as well, which can save you time and money. To see how much you could be able to borrow, try out our personal loan calculator. Please be aware that the calculator is an estimate, and the actual amounts may go up or down depending on your circumstances. These estimated repayment amounts are based on an average interest rate of 17.95%, and also includes establishment fee, security registration and administration fees. Our fee schedule is available on request and will be covered within your loan offer. We are here to work the hardest we can for you so rest assured, Max Loans will do its best to arrange the lowest interest rate possible. No matter what you need, Max Loans can design a loan for you. Talk to us today to see what we have to offer!